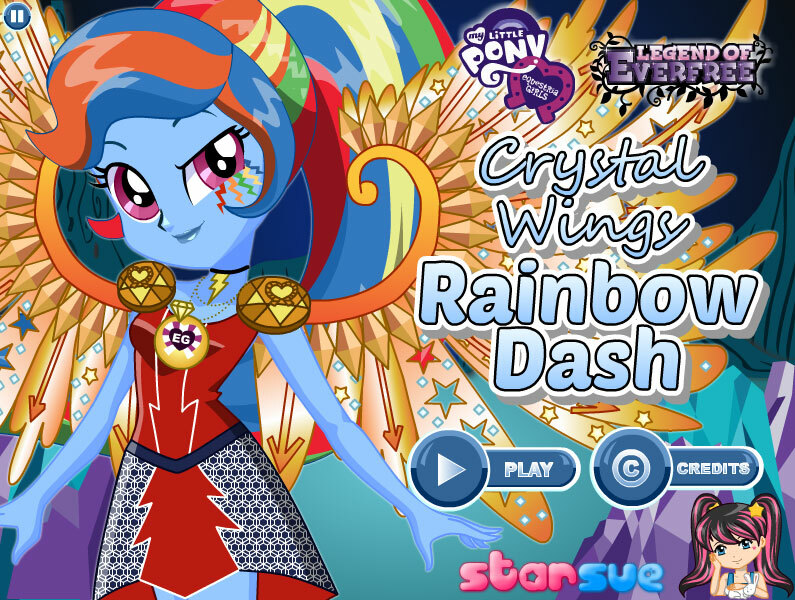 Cool game about Rainbow Dash, who received a gift of a pair of crystal wings. Let's see how they look at our rainbow pony and think about how to improve her outfit. Remember that the hair and tail of a pony should be combined with new wings. For her outfit, you can choose a new dress with or without stripes. In addition, you can combine beautiful scarves, jackets with pockets, shorts and boots. And of course there are a lot of decorations in the game. These are jewels with a zipper, beads and earrings. Use the mouse to select the most elegant and colorful outfit for Rainbow Dash with her new wings. Played: 3357. Added: 15-09-2018, 09:31.